Marriott wanted to inspire and engage travelers and to give its reward members relevant content when they made a reservation. 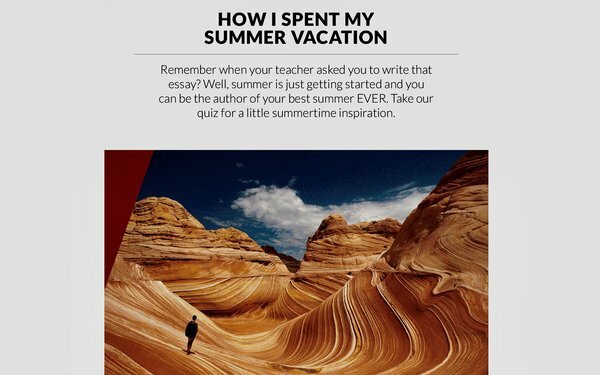 Yes Marketing created the monthly Marriott Traveler newsletter series, which highlights the best of Marriott’s online travel and lifestyle publication. Marriott Traveler offers consumers authentic travel stories and experiences from across the world written by local and global influencers who are passionate about where they live and where they travel. The Marriott Traveler emails feature content focused on seasonally relevant travel themes and provide destination-based travel content to inspire travel and personal fulfillment. It highlights top content for the month as one’s own personalized reading list and leverages data to dynamically include relevant content for upcoming trip if a rewards member has a reservation. The Marriott Traveler email program is the highest traffic driver for the Marriott Traveler site each month. Open rates have increased 65% in the past year. The audience has more than doubled in size. Bring the joy of travel to a small screen, where potential customers can be inspired. Offer authentic stories from local and global influencers. Give your best customers something extra. This was a finalist in the Content Marketing category in MediaPost’s 2018 Creative Media Awards.